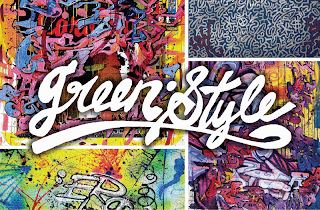 :: Construction Graffiti ::: Greenstyle! For the first time, CMwallwatcher is actually offering something besides an offensive photo drawn by a subcontractor! Tomorrow night from 7-10, as a reader of Construction Graffiti, you're invited to check out a graffiti and video installation accompanied by DJ Tony Crush (and most likely drinks!) at the Gallery 151 on Bowery between E. 4th and Great Jones St. 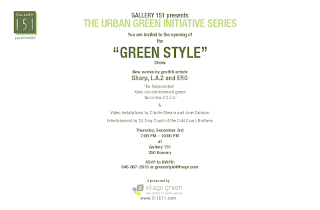 Please send an RSVP to greenstyle@hwpr.com and let them know where you heard about the event! Add another to the list!